I can’t believe so much time has passed since my last post. Holy moley…it’s crazy!! In my last post I talked about becoming a Stampin’ Up demonstrator. Well, after some thought I decided against it. I HATE the idea of limiting my creativity. There’s so many awesome products out there that I love to use and want to share with you all. Last month, while still making my Stampin’ Up decision, I subscribed to two monthly card kits…My Paper Pumpkin and Simon Says Stamp. My Paper Pumpkin had a special offer of 50% off for the first two months with a regular subscription price of $24.95/month. Simon Says Stamp’s monthly subscription fee is $19.95/month. So…they more or less cost the same. To be honest, I’m not impressed with My Paper Pumpkin. No matter what month you subscribe you’re introductory package is the same. I really like that special touch they have added with the packaging…it’s wrapped in tissue paper and comes with a “thank you” card. But that’s where it ends. 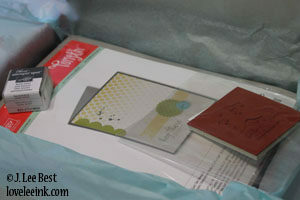 Their kit came with 4 cards, 4 envelopes, an ink spot, 2 stamps, 4 embellishments, and a sheet of stickers. Not worth the money…in my opinion! I hate to give up on a product so I’ll remain subscribed for a few more months. Fingers crossed it gets better!! 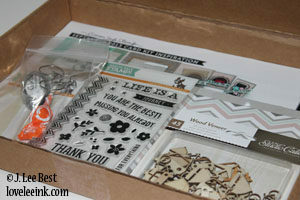 When I received the Simon Says Stamp kit, it was beyond exciting!! Their kit included a full set of stamps, full 8.5″ x 11″ sheets of cardstock, double sided sheets of 6″ x 6″ designer paper, stencil, ink pad, and a full package of embellishments. This card kit is well worth the money. The creative possibilities with this kit are unlimited. I’ll be remaining a subscriber to the Simon Says Stamp card kits…no question!! There’s been a lot of changes going on these last few weeks and now I need to make another decision *sigh*. I’m my last post I told you all how I decided to start this blog to showcase projects and items I’ve made. Well, it has been mentioned to me that maybe…just maybe…I should consider becoming a Stampin’ Up! demonstrator. I’ve given it a little thought but I’m truly on the fence. I like the idea of sharing my love of stamping and I really love the idea of getting a discount. I, however, don’t like the idea of being able to use only SU products in my projects. I mean really…lets be honest. Isn’t using only one brand limiting creativity? I think so. From a business standpoint, I understand why SU requires this. From a creative standpoint, not so much. There’s so many awesome products out there! I don’t like feeling limited! Anyone who knows me can tell you research is my best friend. So, off I went to ask my friend Google. There’s lots of awesome people out there who have very valid points. Become a demonstrator or not become a demonstrator…that is the question. A question that remains unanswered. Does anyone have an opinion they want to share? I’d love to hear it! Proud to be Canadian…and a Newfoundlander!! The Ink Road…A Road Worth Travelling! Honey Bee Stamps in the Shop! New Simple Stories Now Available!